On June 24, 2015, Secretary of Homeland Security Jeh Johnson announced that Nepal has been designated for Temporary Protected Status (TPS). This means that Nepali nationals who have been physically present and continuously residing in the United States since at least June 24, 2015 are eligible to apply. TPS is a temporary status the U.S. government offers to nationals of certain countries that have faced major difficulties, such as war, natural disasters (floods, earthquakes, etc. ), or other similar circumstances. What does TPS do for me? A person granted TPS cannot be deported from the United States. Even people who are already in immigration court or who have already been ordered deported can apply for and receive TPS. TPS holders can also receive a work permit, and can even request permission to travel outside the U.S. and then return based on their TPS. The initial grant of TPS for Nepalis is 18 months (until December 21, 2016). 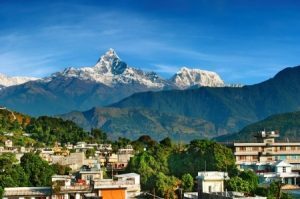 However, TPS holders may renew their TPS status and work permits for as long as the U.S. government continues to designate Nepal as a TPS country. 3) does not have a felony or two or more misdemeanors (minor things like traffic incidents generally will not count as misdemeanors for determining TPS eligibility). You should consult with a qualified immigration attorney if you have concerns regarding criminal activity. The Department of Homeland Security is accepting applications for TPS from Nepalis immediately. Applicants must register for TPS on or before December 21, 2015. It costs $135 to apply for TPS. Applicants can also apply for a work permit based on TPS if they want one, which costs an additional $380. These are the government’s filing fees for the necessary forms. Applicants who hire an attorney to assist them in applying for TPS will have separate attorney’s fees.